I personally love when the New Year comes around! It's time for change and although I may not always be excited for change, I always know the outcome is going to be for the better. I don't actually set resolutions but goals to keep me on track throughout the year, after all, it's a new year but the same me! Alcoholic Drinking - I tend to enjoy a beer now and then but really started researching what types of beers were a bit better to drink. 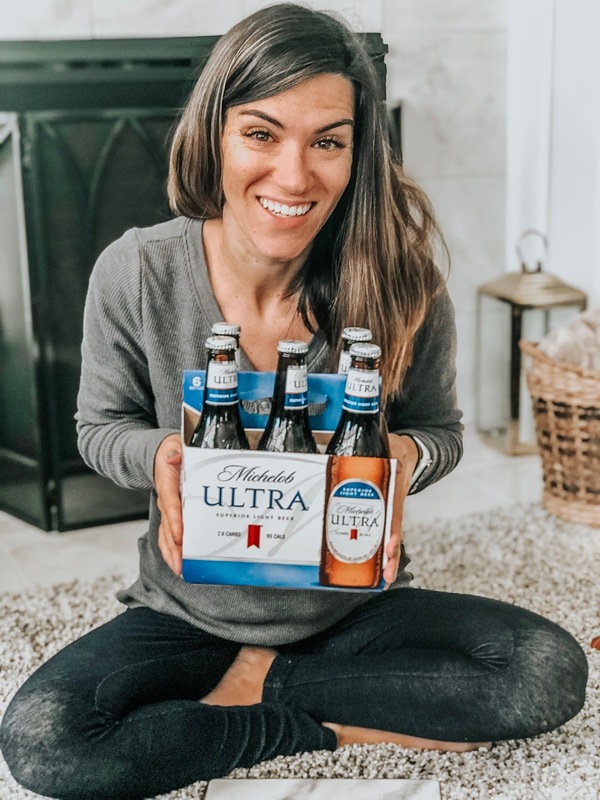 My MIL has always been a fan of Michelob Ultra but when I told her they have a Pure Gold selection as in one of the best low carb beers on the block ( it's only has 2.5 carbs and 95 calories but Michelob Ultra Pure Gold is 85 calories ) we were both were super excited to try it. * Always drink responsibly. This refreshing beer is triple filtered and it's light in color which makes it almost as if we are splurging on taste and quality while enjoying something super yummy. Sugar Substitution - I used to put a lot of sugar in my coffee but then realized I needed to also think about what type of sugar I was using. I began using Splenda Naturals Stevia. It's 100% natural and great tasting sugar. Plus, it has zero calories and no aftertaste so I feel as if I'm not sacrificing any flavor when drinking my coffee before a big day. I also wanted to make a bit of a fancier coffee to enjoy so I started making a Vanilla Sweet Cream Coffee with Splenda Naturals. Easy Snacks For More Energy - I love to snack throughout the day but found myself grabbing for sweets instead of healthy. 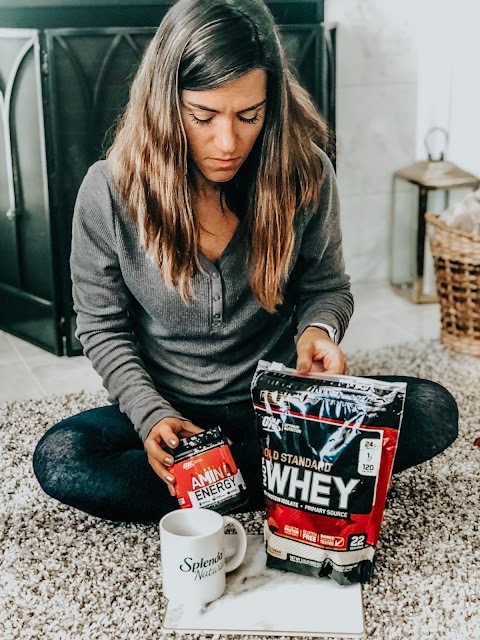 I love enjoying these Protein Snacks in one incredible flavor as well as adding some supplementing my flavored water and afternoon coffee with the brand's Amino Energy and Gold Standard Whey additives. This will keep me fuller during those times where you just want a little something to get you from breakfast to lunch and lunch to dinner! Now, you can grab these great products at Walmart, including Splenda, Michelob Ultra, and Optimum Nutrition! Also, make sure to enter the Resolutions at WalmartSweepstakes for a chance to win a gym membership. Enter before February 9th to be one of five grand prize winners. Winners get to choose the gym or health club of their choice to join, up to a total cost of $599. Make sure to visit WalmartResolutions.com for the giveaway’s full terms and conditions. Tell me friends- what goals are you making this year? I am at Walmart all the time so I will keep an eye out for these things the next time I go. I have to try that beer. 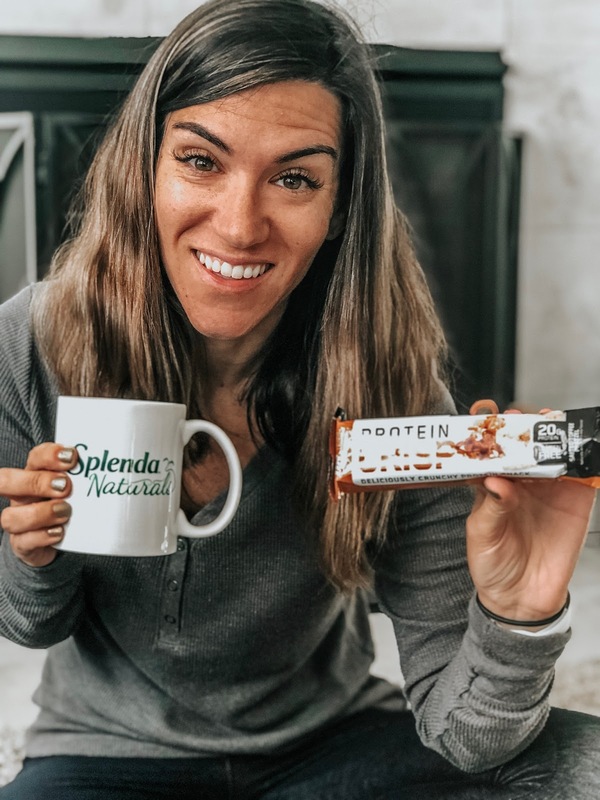 I've been using regular Splenda for years and I need to try the Splenda Naturals. I also set goals and choose one word for the New Year. I LOVE this! A new year doesn't mean a new you. It means a new year to make the real you the best you possible. Ooooh. It seems you are making big changes! I am have some 'healthy eating' goals this year and hopefully will see the same positive changes you have! I will have to check these out. I have used splenda before and liked it. I also like easy snack ideas! For people that use these types of products these would work perfectly. Good to know where to find them when needed. It's so nice that Walmart carries a lot of different brands and options! I like being able to go to one place and grab everything I need! That's a great list of products! I'm not a beer drinker, but you made it sound delicious! I didn't know that there was a Splenda Naturals! I haven't noticed it in the store. I will have to look for it when I go later today. I am still learning a lot about nutrition. I like to read up on protein and on different kinds of protein powder that are out there. I'll have to check into a few of these and see if it is something that I need for my diet. I was just looking for a protein powder to put in my smoothies. Thanks for the suggestion. Walmart is the one stop shop for so much. 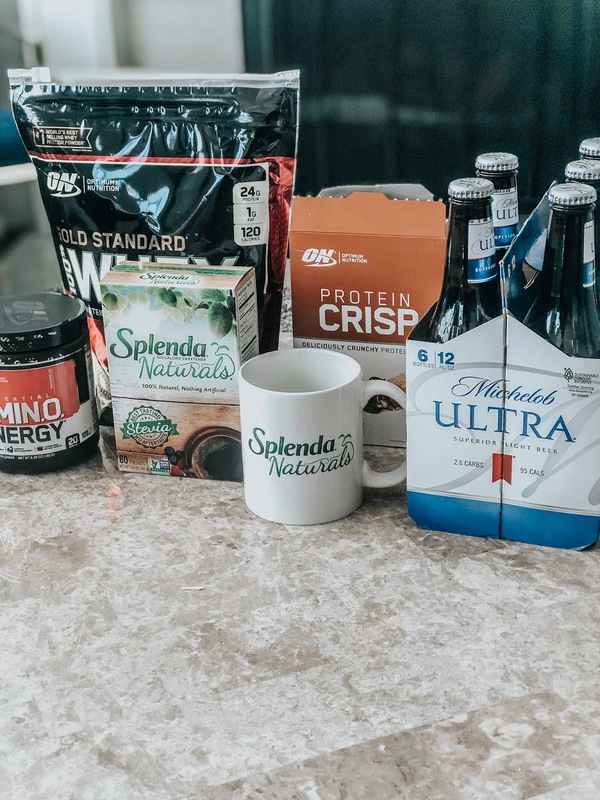 You've got quite a variety of products to help you meet your goals. Thanks for the sweepstakes link. It looks like you have been really thinking about how you can make some big differences with small changes! I love it! Great to make a fresh attempt and goals every year. Walmart seems to have just what you need! My mom is a Michelob drinker hahah! And my hubby lovesssssss some splenda! I dont drink either but I do need to find a good protein supplement to add to my diet! I think you're definitely on the right track. I have a list of things I want to change too. I enjoy the occasional drink as well but pretty much gave all of it up when I started my health journey a few months ago. I don't miss them at all and I feel so much better! Wow that is so good i will check it out and i need to put it on my list. My husband used to use to splenda years ago but now he doesn't. He does however uses Whey protein. I put a lot of sugar in my coffee too. I have read about Splenda before, but never tried it. I will have to check it out. I use splenda in my tea and coffee. Hubby is tea drinker where as I am a coffee drinker. We drink Shinerbock beer. 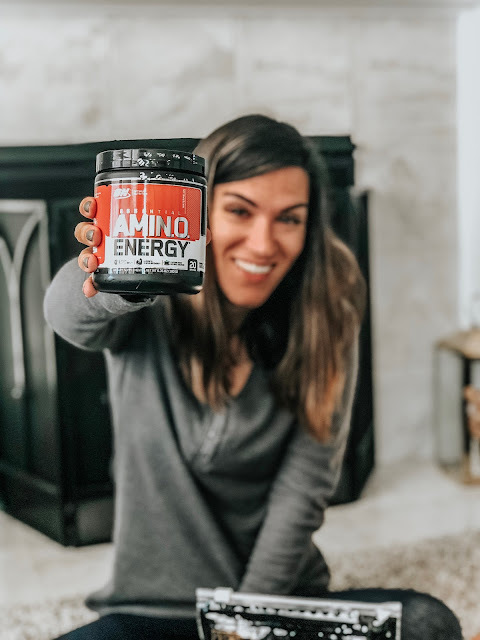 I will look into Amino and whey . 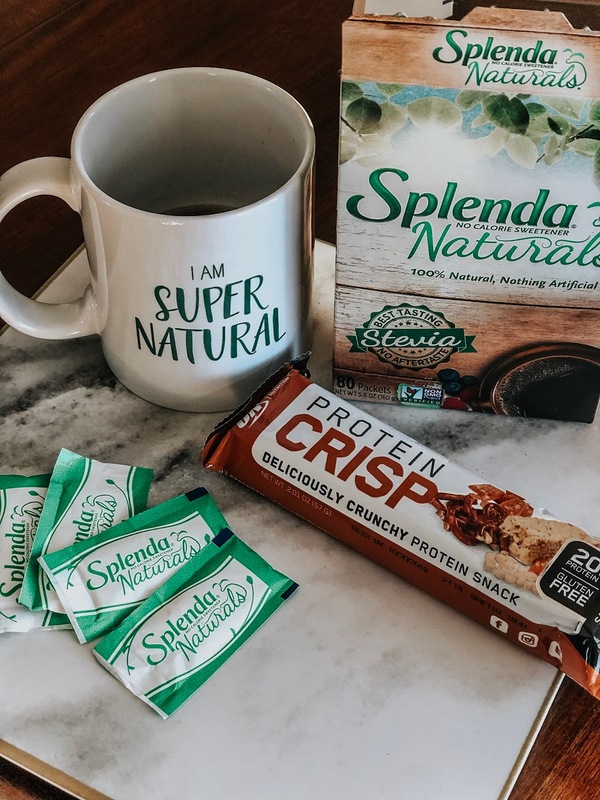 I am curious about the splenda natural and will keep an eye out for it! Congrats on your new goals for 2019! Keep on being fabulous.